Amnion Therapy is an innovative treatment approach that taps into the body's natural healing processes without the need for invasive surgical procedures. The doctors at Valley Pain Centers are leading providers of Amnion Therapy, helping heal damage caused by injuries and diseases. Amnion Allograft are special cells that can transform into other types of cells depending on how they're stimulated. Stem cells can be found in different areas of the body, including fat tissue and bone tissue as well as the placenta and the amniotic fluid contained in the uterus during pregnancy. When amnion are injected into an area damaged by disease or injury, they can be coaxed to form new, healthy cells that the body can use to replace damaged cells. Amnion therapy injects amnion allograft (tissue graft) directly into the site. It contains natural factors, called growth factors, for site specific use to modulate inflammation, reduce scar tissue formation, and enhance healing. Growth factors are powerful agents that our bodies produce to signal cells to come to the target site, help the site to heal, and help your own cells regenerate the damaged tissue. What happens during treatment with amnion? 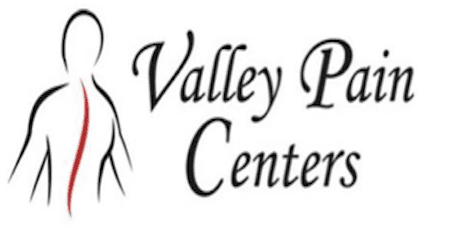 Valley Pain Centers uses amnion allograft (tissue grafts) and injects the material into the treatment area during a simple outpatient procedure. Once the allograft is injected, the material stimulates the release of the body's own stem cells while also reducing inflammation for better healing. The allograft solution used by Valley Pain Centers also contains a natural substance called hyaluronic acid which lubricates joints and tendons while promoting greater mobility and improved function. Where is Amnion Therapy used? How soon will I experience the benefits of Amnion Therapy? Most patients experience maximum benefits in 3-4 weeks after treatment.